Green Cream's proprietary delivery mechanism, Green Polymer Cooling Gel (GPCG), allows solutions to carry high concentrations of retinol through its unique packaging that prevents the retinol from losing potency. Green Cream solutions accelerate skin cell turnover, helping the skin to appear smoother and brighter. Green Cream products also repair cellular structure damage in the skin and will even help shrink oil glands, which reduces pore size and diminishes scars. Green Cream features three different strengths of retinol products. Level 3 is the mildest formula, which is ideal for sensitive skin types easing into a retinoid regimen; Level 6 is formulated for a broad audience and makes improvements in overall skin health; Level 9 contains the strongest retinol available without a prescription. We recommend beginning with our Level 3 or Level 6, and after 3 to 6 months, integrate Level 9 into the routine. 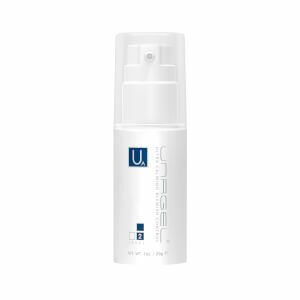 Unagel by Green Cream Calming Acne Treatment is just one of the many products that can effectively aid in an individual's skin care regime. It is well trusted by its customers to soothe acne prone skin and reduce oiliness. Its skin care formula is top notch and sure to make any purchase worthwhile. Green Cream founder, Dr. Nia Terezakis, has 30 years of experience as a dermatologist in New Orleans. Her approach to treating complicated or mild skin problems has been that of a simple regimen without a lot of trendy or fancy and expensive ingredients.